A Catholic interfaith community of those seeking to explore current issues affecting our Church and personal lives, prayerfully responding to our baptismal call with "fresh eyes, open minds, and changed hearts," by promoting social justice, education and advocacy. Welcome! The Epiphany Group can be pictured as an oasis for those on the spiritual journey; to gather together for a while, to pause, refresh, to think about our direction. The Holy Spirit is our guide and in that embrace we listen, renew, and seek the grace and courage to go where we are led. We wish to welcome all fellow travelers with gratitude for the humble strength we gain from each other. Please email or call John Kennington at 918-809-6325 for more information about the Epiphany Group. Please be sure to view the Nov 2015 Newsletter for updates on the upcoming Synod as well as a remembrance of Pat Ashe. The Feb 2015 Newsletter has obituaries for Fr. Bill Skeehan and Mary Murphy, and the Sept 2014 Newsletter has remembrances of 4 other long-time members we recently lost. 2016 will be the 20th anniversary of the founding of The Epiphany Group! We�ve had a veritable who�s who of internationally recognized progressive Catholic speakers (scroll down to see the complete list). Click here for our full fund drive letter. Every three years we ask for your generous gifts to continue the good work we accomplish. We ask that your gift be as generous as possible to help sustain The Epiphany Group over the next three years and to recognize 20 years of bringing progressive Catholic voices to Oklahoma that you will not find anywhere else. Sunday, November 15, 2:00 p.m.
tradition and a member of the Ecumenical Catholic Communion. Pope Francis is creating a new atmosphere of openness and dialogue in the synod processes, a significant change that has stoked hope in those who want to see power decentralized and fear in those who want to maintain centralized authority along with the �smaller, purer� brand of Catholicism heralded by Pope Benedict XVI. Will Pope Francis succeed in his efforts? In this presentation, Deborah Rose-Milavec, Executive Director of FutureChurch, will be discussing the results of the October 2015 Ordinary Synod of Bishops on the Family, as well as Francis� efforts at reform, the significant documents, his allies and critics and their influence in the process of reforming the Church. 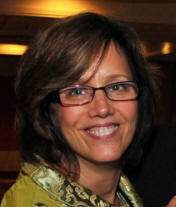 Deborah Rose-Milavec is Executive Director of FutureChurch, an organization (celebrating its 25th Anniverday!) that seeks changes that will provide all Roman Catholics the opportunity to participate fully in Church life and leadership. Deb was in Rome for the October 2015 Synod. 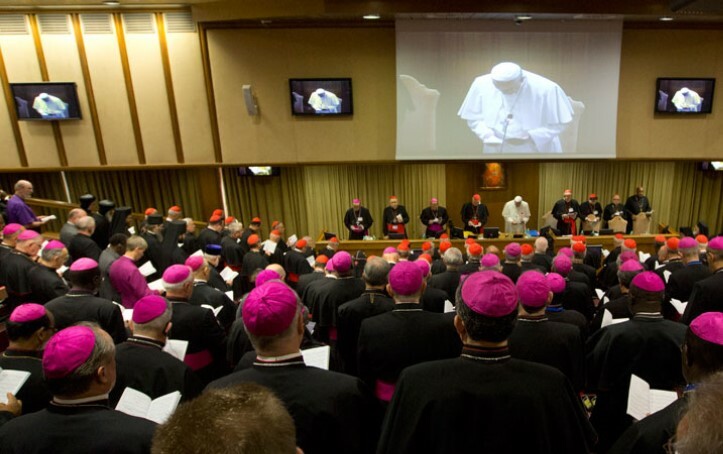 Her blog, Synodwatch, captured aspects of the synod not reported by other media. She led a coalition efforts to help Catholics influence the process by meeting with bishops to talk about synod, asking synod leaders to �widen the circle� of invitees and encouraging listening sessions to dialogue together. We live at a time when a far-reaching historical event is being experienced. Fr. Gustavo Guti�rrez calls it �the irruption of the poor�. It is the new visibility and new presence of those from the �underside of history� - those who use to be �absent� from our society � individuals or groups of little importance to the culture. They are the voiceless ones that we relegate to the margins because they threaten our comforts, sensibilities, and even the way we relate to God. Recently Pope Francis was quoted as saying, �How I would like a church that is poor, and for the poor�. The term �the church of the poor� was first used in 1962 in a message by Pope John XXIII at the start of Vatican II. We find reflections of this being expressed in the theologies of third world countries and nowhere more ardently than in the church of South America through the writings and preaching of Fr. Guti�rrez who is considered the father of Liberation Theology. This summer Fr. Guti�rrez taught a class in Liberation Theology at Boston College. It was attended by Susan Murphy, a Bartlesville resident and pastoral minister who has been working with the poor for the last 20 years. Susan will be sharing the knowledge she gathered from this Boston College experience in a Liberation Theology workshop to be presented by The Epiphany Group. It will be held on Sunday afternoons September 21st, 28th, October 5th, and 12th at Hardesty Library from 2:00 � 3:30. If you feel called by the Gospel to reflect on and practice a spirituality that includes liberating the oppressed, relieving suffering, and restoring human dignity to the marginalized, then we invite you to join us for this interesting class. Though not essential, please RSVP to epiphanygrouptulsa@gmail.com (or 918-809-6325) so we can be sure to have enough handouts and chairs. Pax Christi of Eastern Oklahoma, The Epiphany Group, and Fellowship Congregational Church are sponsoring a return visit to Tulsa by Fr. John Dear, part of a national tour for his new book, �Lazarus, Come Forth!�. Please join John in Tulsa on Wednesday evening, March 28 at Fellowship Congregational Church. Rev. John Dear S.J. is a Jesuit Priest, Peace Activist, Organizer, Lecturer, Retreat leader, and author/editor of 28 books on peace and nonviolence, including Living Peace, published by Doubleday. Archbishop Desmond Tutu has nominated him for the Nobel Peace Prize. 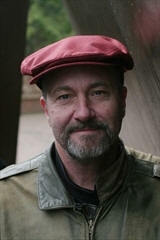 Join John Dear for an evening reflection and book-signing on March 28. John will propose that the Gospel invites us to carry on this liberating work of Jesus today and obey these new commandments�to take away the stone that keeps us trapped in our violent culture of war, to call each other out of the tombs, to unbind one another and to set each other free to live in peace and nonviolence. Through this work, we will find new hope and the fullness of life. Robin Meyers, Ph.D., has served as the senior minister at Mayflower Congregational UCC Church since 1985, and as professor of rhetoric in the Philosophy Department at Oklahoma City University since 1991. Meyers is the author of five books, most recently Saving Jesus from the Church. The marriage of bad theology and hypocritical behavior by the church has eroded our spiritual lives. Taking the best of biblical scholarship, Meyers recasts core Christian concepts in an effort to save Christianity from its obsession with personal salvation. Not a plea to try something brand new, but rather the recovery of something very old, Saving Jesus from the Church shows us what it means to follow Jesus' teachings today. DVDs of Fr. Roy Bourgeois' lecture available soon! DVDs will be available about Dec. 20, 2010, and can be ordered online for a donation to The Epiphany Group. We leave it to you to decide an appropriate amount. DVDs of Tom Doyle's lecture now available! Audio CDs of John Allen's lecture still available! CDs can be ordered online for a donation to The Epiphany Group. We leave it to you to decide an appropriate amount. Some previous books we have discussed are Saving Jesus From The Church by Dr. Robin Meyers, Catholicism at the Crossroads: How the Laity Can Save the Church by Paul Lakeland, and Sisters in the Wilderness, by Delores S. Williams, who considers how to construct a Christian theology from the point of view of African-American women. Read the reflection which Terry Klein gave at a recent Epiphany meeting. Inspired by prominent national speakers, several Tulsans discussed the possibility of starting a local study group. In late November 1996, we shared names of friends who might be interested in meeting together for faith sharing and furthering the work of the Second Vatican Council. During December 1996, thirteen people gathered several times to plan for establishing a group. On January 6, 1997, the feast of the Epiphany, the group adopted the same name as the feast day, expressing the hope to "bring gifts of faith" to others and ourselves. In January 1998, we presented a three-night series on the Bishop's Pastoral "Always Our Children" at the Church of St. Mary. In June of the same year, Bishop Thomas Gumbleton of Detroit spoke to an audience of 500. We continued our spiritual nurturing through studying Henri Nouwen's book "In His Image" as well as a reflective study of "To Dance With a Cross on Our Back"by Father Bill Skeehan. 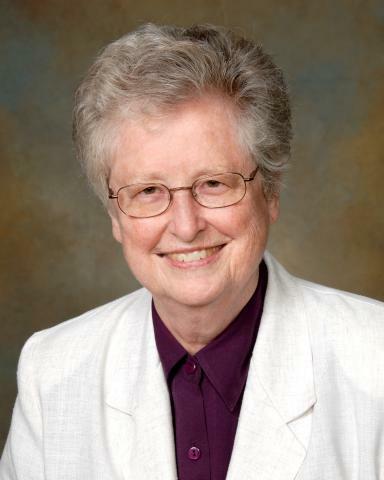 In the spring of 1999, Mary Benet McKinney, a Chicago Benedictine gave a retreat for our group and in November 1999, Sister Joan Chittister spoke to an audience of 400. We will continue to prayerfully explore current issues affecting our Church and personal lives. We acknowledge, because of our baptism, we are called to promote social justice, education and advocacy. If you would like to join us, please contact one of the members.